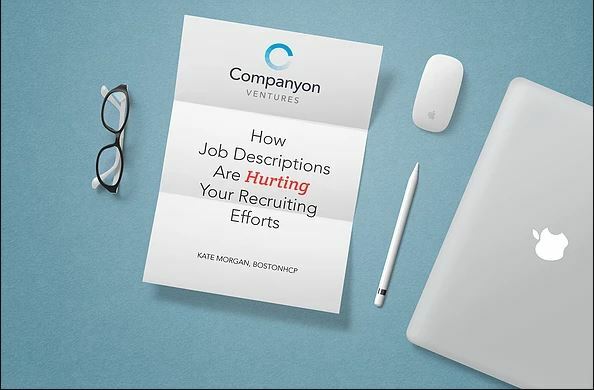 My clients will tell me they are working on a job description when they are ready to kick-off a search for a new hire. It’s a waste of time, as not only do I not use the job description, I probably won’t even read it. Granted, I have years of experience, but I don’t even want my team to use their job description. The reason is that if I have done my job correctly by interviewing the hiring manager, I know how to position the company and how the person will fit into the organization. I can then articulate what they will be doing for the next year. People don’t take jobs they take companies. When they interview they want to imagine themselves working for the company. Job descriptions don’t help candidates to do this.